Here is a type of chart I don't recall seeing before. 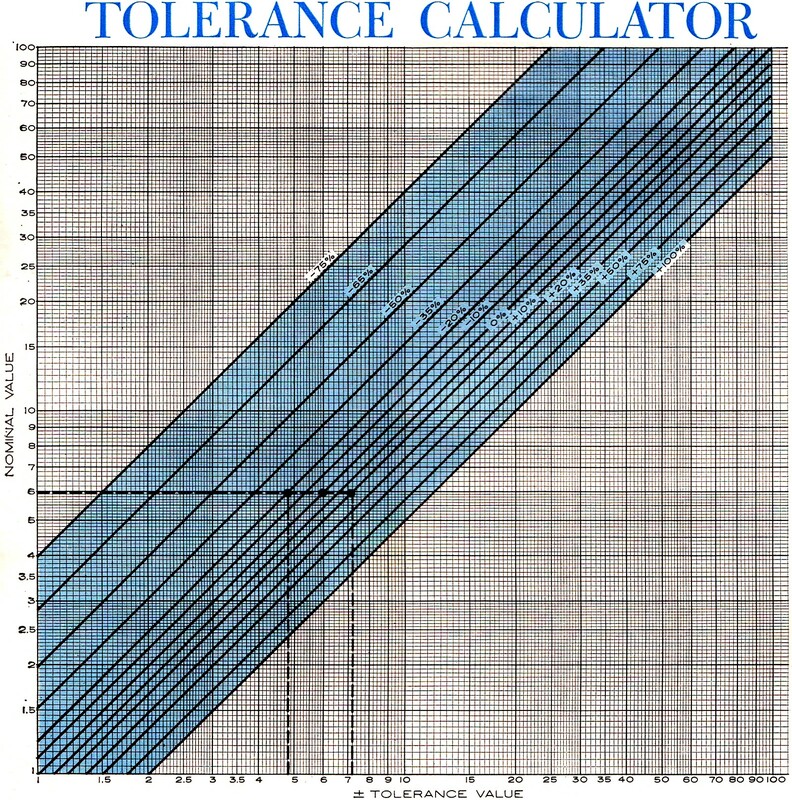 This Tolerance Calculator Graph makes it very easy to quickly determine the upper and lower extremes of tolerance values for resistors, capacitors, inductors, etc. It can actually be used to find the limits for any number, regardless of units. This is one example of where a physical visual aid can still yield results faster than punching numbers into a calculator. Useful chart that can be employed to determine plus and minus values of a number within the tolerance limits of +100% to -75%. Many times during circuit testing and troubleshooting it is necessary to compute the tolerance of a component or parameter to determine if it is within limits. Specified, usually, as a per-cent of a nominal value, these calculations require the use of a slide rule or pencil and paper, in addition to taking up valuable servicing time. To use the calculator, find the number on the "Nominal Value" scale and go across to the ± % tolerance line desired. Drop down to the "Tolerance Value" scale and read the ± tolerance value. 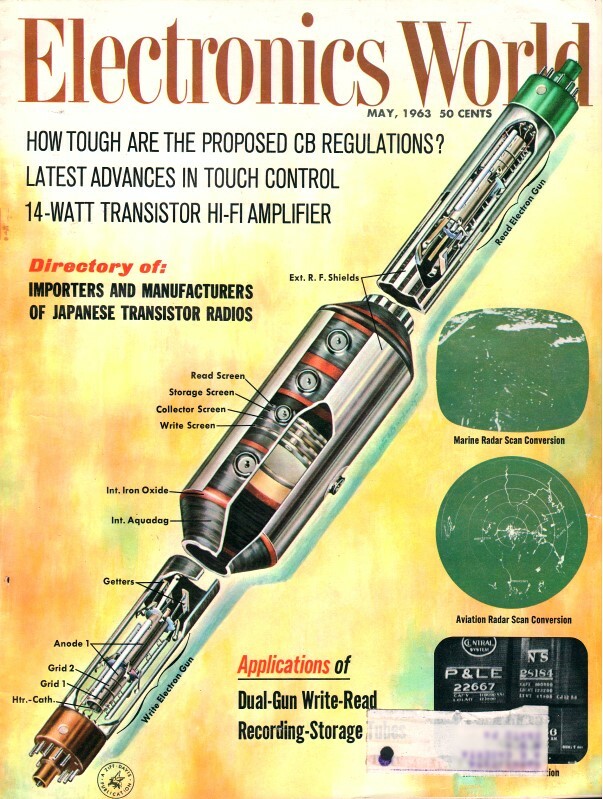 Thus the number 60 ± 20% has tolerance limits of 48 and 72; this can apply to 6000 ohms, 600 kc., 0.6 mhy., $6.00, or just about any type of parameter or component value you may come across. Don't worry about the decimal point: if you start out in kilohms, your answer will be in kilohms; if you start out in μf., your results will be in μf. (or their fractional parts). Mounted on the wall near your bench, this calculator will always be ready to give you those tolerance values you require to help speed that servicing job. This tolerance calculator can minimize the time required for calculations giving the plus and minus values of a number within the tolerance limits of +100% to -75%.